The American Diabetes Association (ADA) is an US based association that has been primarily set up to help people affected by diabetes. According to the studies revealed by the ADA, diabetes is one of the most fatal diseases in the nation, which has affected more than 20 million people as of 2007. The American Diabetes Association has devised a diet plan that adopts an exchange system in order to help with meal planning as well as nutrient balance. In other words, the ADA diet plan is not a specific or restrictive diet plan and serves more as a guideline or foundational principle to help you design a diet plan according to your individual requirements. The key purpose of ADA diet plan is to relieve problems in connection with diabetes, in addition to improving your overall health. In fact, the ADA’s diet plan is not only suitable for diabetic patients but also for anyone who want to lose weight and keep diabetes at bay. Also known as the Carb Consistent Diet, is recommended for anyone who wants to maintain an ideal weight and fight diabetes. It encourages you to intake a variety of healthy foods from every food group rather than consuming particular group of foods. On a typical 1,800 Calorie diet, the breakfast will consist of three starch exchanges, one fruit exchange, one meat exchange and one milk exchange. In the case of lunch, it will include fiber enriched foods in the form of whole grain items and fresh vegetables and fruits. When it comes to dinner, it will cover four starch exchanges, meat exchanges, two vegetable exchanges and one fruit exchange are suggested. It helps to control blood sugar levels as well as meet the nutritional requirements of an average adult or teenager with diabetes. This diet plan includes nutrient enriched food items. Further, it recommends you to balance your diet with effective exercise plans. It is a low calorie diet that has been primarily designed for diabetic people who are overweight. In fact, this ADA diet plan restricts the increased intake of carbohydrates and unhealthy fats. This diet plan should be followed as per the recommendation of a registered medical practitioner. It is a very low calorie diet that is especially for diabetic people with morbid obesity. This ADA diet plan encourages you to intake fresh fruits and raw vegetables and reduce fat intake. However, this diet plan should be followed under the strict supervision of a medical practitioner. Carbohydrate counting is one of the common terms that is associated with the ADA diet plan. With proper carb counting, you can limit the intake of carbohydrates, which is regarded as one of the prime reasons for the increase in blood sugar levels. Carb counting simply refers to a meal planning system that involves the action of counting the grams of carbs that you intake during your each meal. This in turn can be done by using the diabetic exchanges or reading nutrition labels. 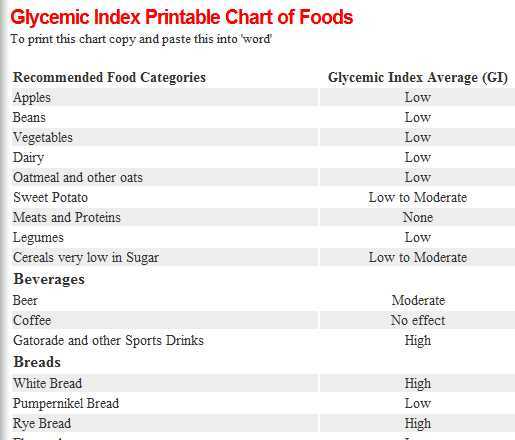 The Glycemic Index (GI) is a numerical scale that is adopted to assess the level of carbohydrates on blood glucose. Since GI ranks food items with carbohydrates on a scale ranging from 1 to 100, it helps for the appropriate selection of food items, thereby enabling you to maintain a healthy blood sugar level. The ADA encourages you to intake food items with low glycemic index values, such as spinach and whole meal bread. To get best results from the diabetic plan, the ADA recommends you to work out regularly, along with the intake of a balanced and moderate meal.